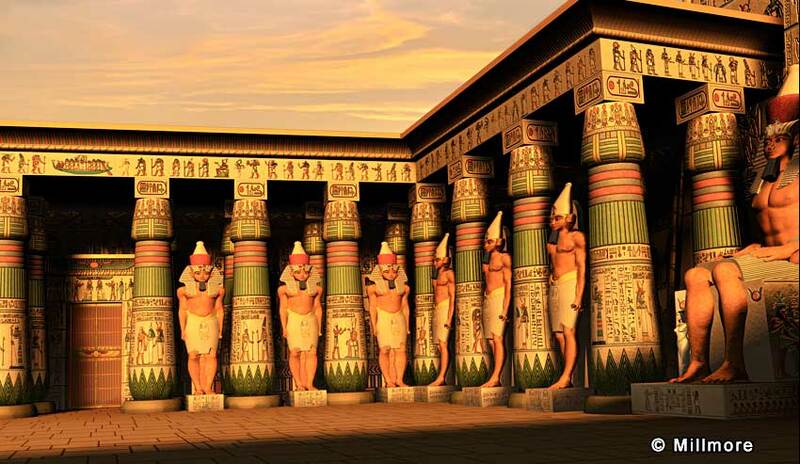 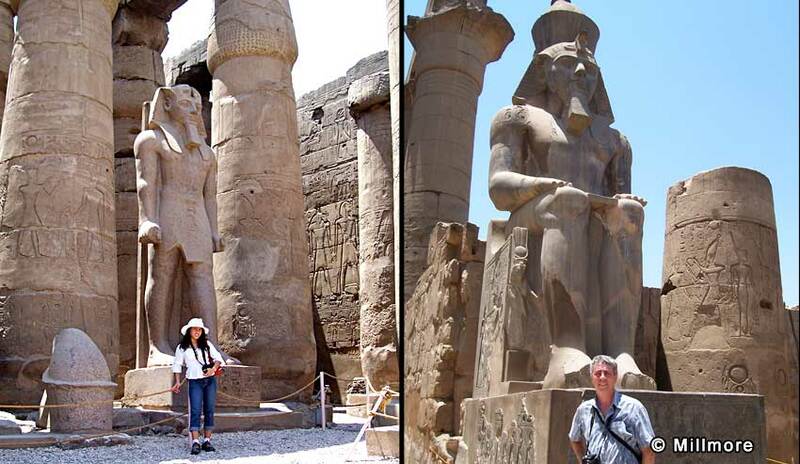 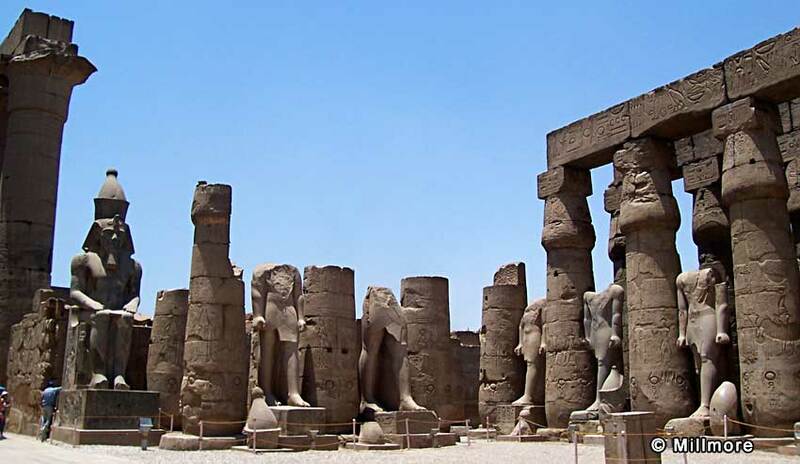 The great Court of Rameses II is 188 feet (57 m) long and 168 feet (51 m) wide. 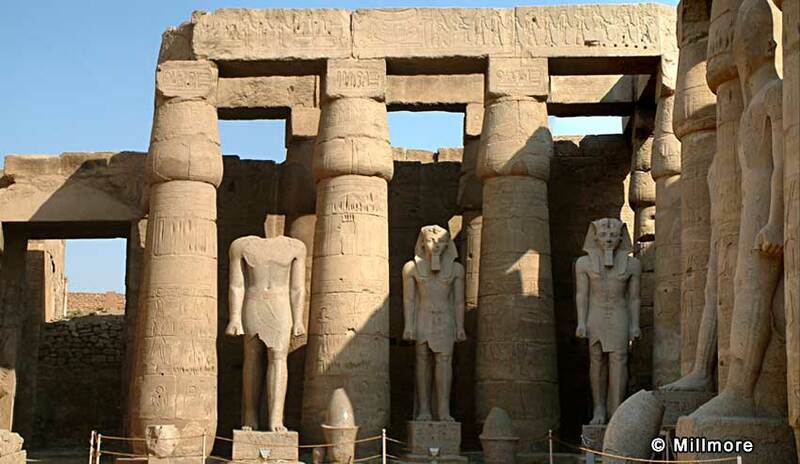 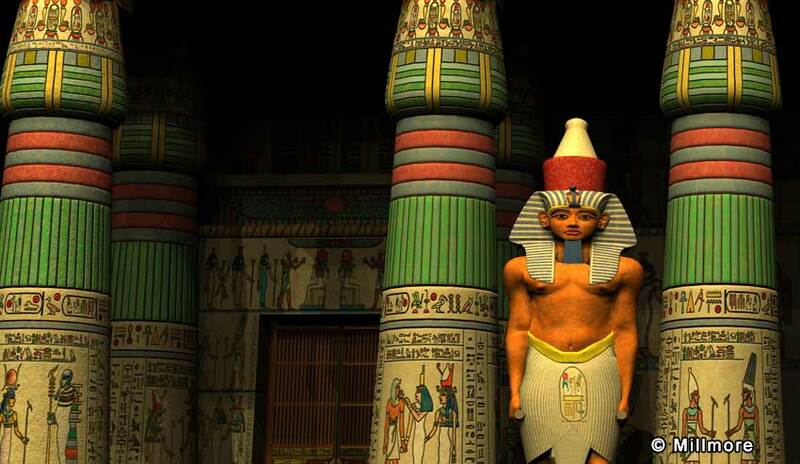 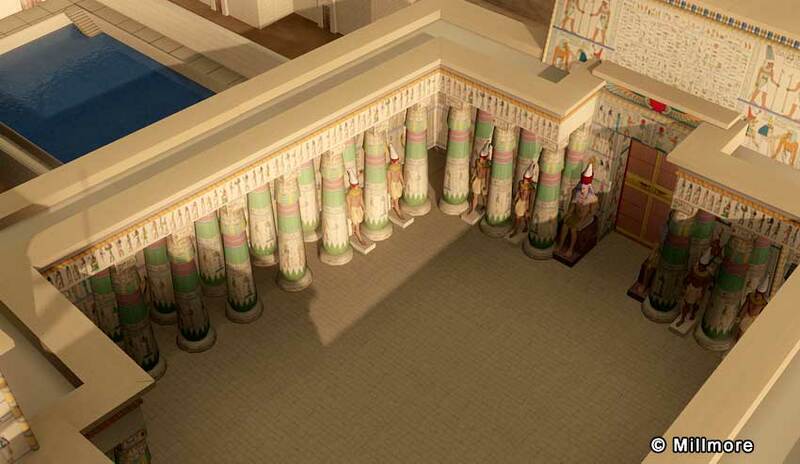 Seventy four papyrus columns, with bud capitals surround it and in the Northwest corner of the court there is a shrine to Thutmose III, while in the southern part of the court there are a number of standing colossi of Ramses II. 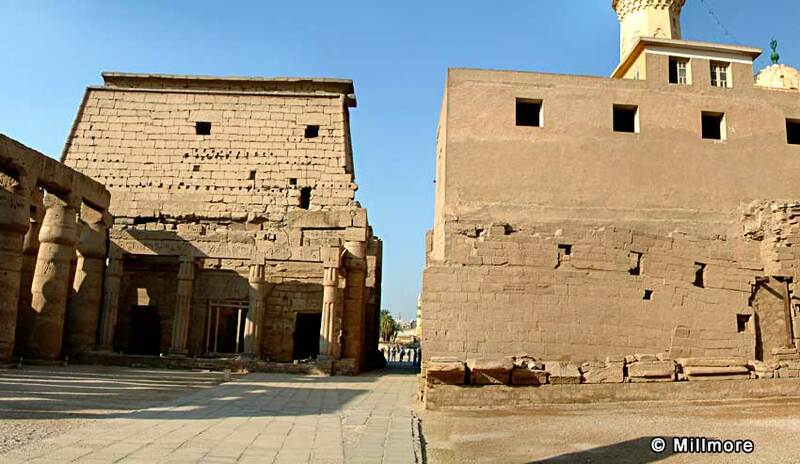 The court to the east is now partly occupied by the Mosque of al-Hajjaj.